A disorganized house can be incredibly frustrating for the people who live in it. Not only can it be difficult to find things, but a disorganized home makes for a disorganized mind. 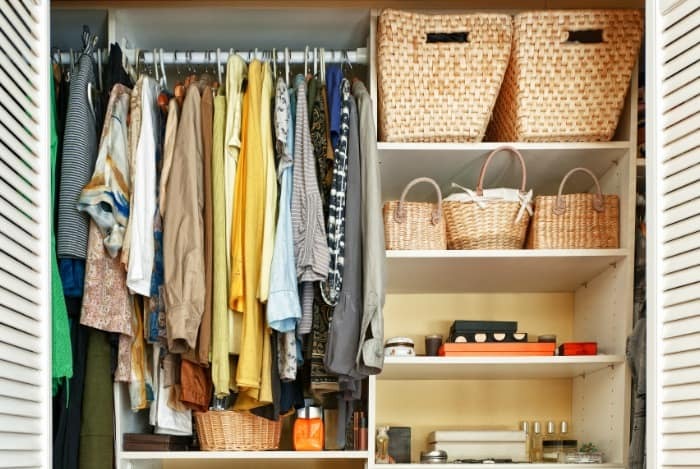 It is not uncommon to feel overwhelmed when it comes to organizing your home. Many find themselves struggling with ways to keep things organized around the house, believing that it’s going to cost them a fortune. The truth is, there are budget-friendly ways to organize your home that don’t require much more than creativity. You may think that hangers are just for hanging clothes, but that is just not true. Clothes hangers have many uses other than just keeping your sweaters organized. In fact, you can use hangers to organize baseball hats, sunglasses, scarves, boots, mittens, ties, flip-flops, and even posters. Jars are perfect for organizing small items like pencils, other school supplies, and even things like buttons and push pins. 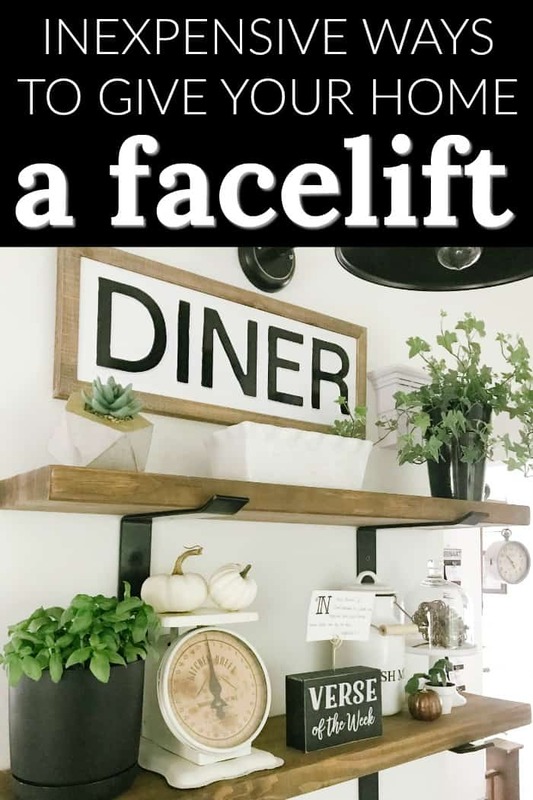 Utilizing jars is a fantastic and inexpensive way to get all that small stuff around your house organized in a central location. Rather than go out and purchase new jars to use, simply rinse out old pickle jars or spaghetti sauce jars and use them. This not only saves you money, but it gives an item you already have in your home, a brand-new purpose. The best thing about shoeboxes is that they come with a lid. These are perfect for storing things that you may not want to see or that you want to avoid getting dust on. Using shoe boxes to organize your home will not only save you money, but it will help you declutter and get organized. Using hooks inside a closet, cupboard, or on the back of a door is a great way to save space and reduce clutter in your home. Hooks can be used for hanging mops and brooms, purses and coats, and even towels. This will help you to save space, and hooks are generally inexpensive to purchase. For those times when you have open shelves that you want to use as storage, but don’t want to have all your items displayed for everyone to see use baskets. Wicker and straw baskets add to your home decor while hiding your clutter and private items. Baskets are also great for switching out kids books and special toys giving them a place to hold these “new for the moment” items. Empty cereal boxes can be used as organization containers. They can be used as file holders, drawer organizers or even closet dividers for children’s clothing. Not only are you recycling, but you’re also saving money. No matter what ways you choose to organize your home, it’s important to be creative with your resources and things you already have on hand. 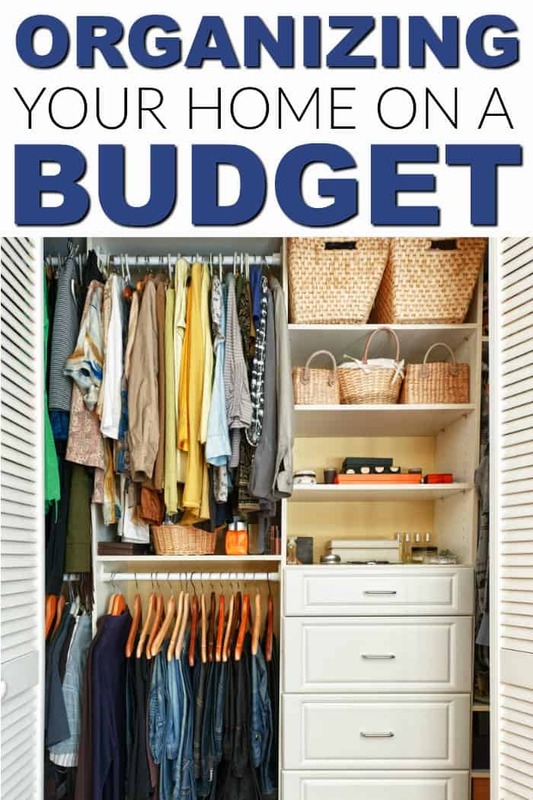 Being on a budget shouldn’t mean that your home can’t be organized in fact, it’s incredibly possible to achieve perfect organization without spending any money at all. Great tips! Shoe boxes with lids are so great for organizing bedrooms. My daughter has many little sets of collectables. I got her different size bins for each of her collections. It’s so much better now that each toy has it’s own space! Thanks for sharing,I could use some of these neat ideas ! The straw baskets are such a good idea for storage. I try my best to keep my home organized, and I’m pretty good at finding my stuff, but my husband on the other hand I swear sometimes he doesn’t even live here, he has no clue where anything is or where it goes, ugh!